Like I said, I had a great weekend! This is one of the results of two great photoshoots. This is the lovely Shauna Scarlett on Instagram and Shauna Topaz on Facebook. 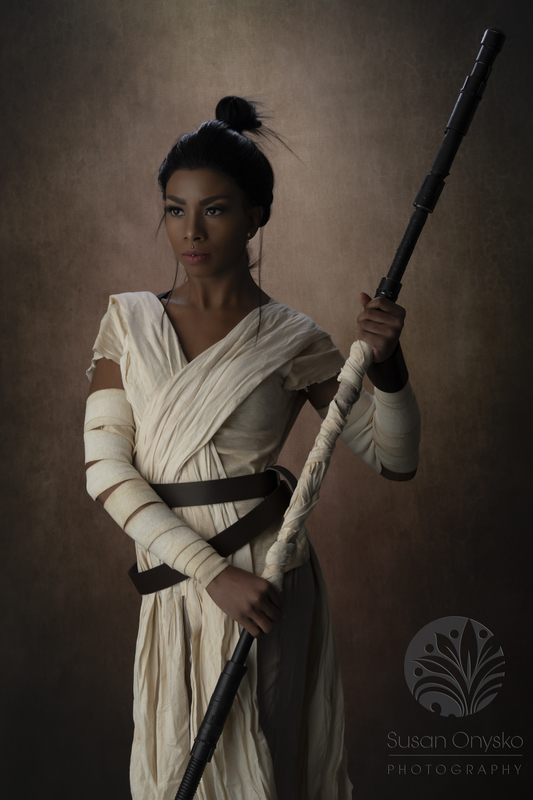 Shauna looks amazing in a Rey Cosplay and I am in love with my new backgrounds. This is the Warm Painterly Background from Joel Grimes Signature Backgrounds. I purchased a Westcott X-Drop Backdrop System years ago for its portability for conventions but needed some unique backdrops for it and I finally found them!